MediScripts provides prescription pads to active physicians in New Jersey. 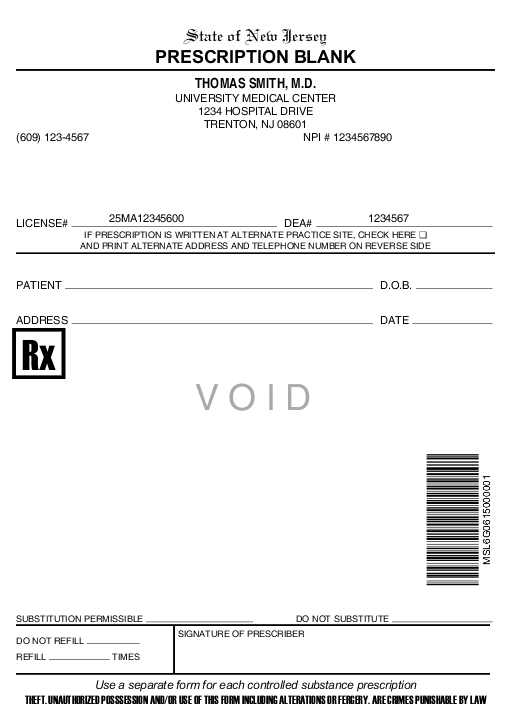 Our prescription pads are secure and personalized to meet individual practice needs. These requirements are only for hand-written prescriptions or prescriptions printed from an EMR or electronic prescribing application and do not apply to verbal, faxed or e-prescriptions. Healthcare practitioners in New Jersey and around the nation have trusted MediScripts since 1981. Our prescription pad subscription package starts at as low as $64.99 for an online order of 1,600 scripts.